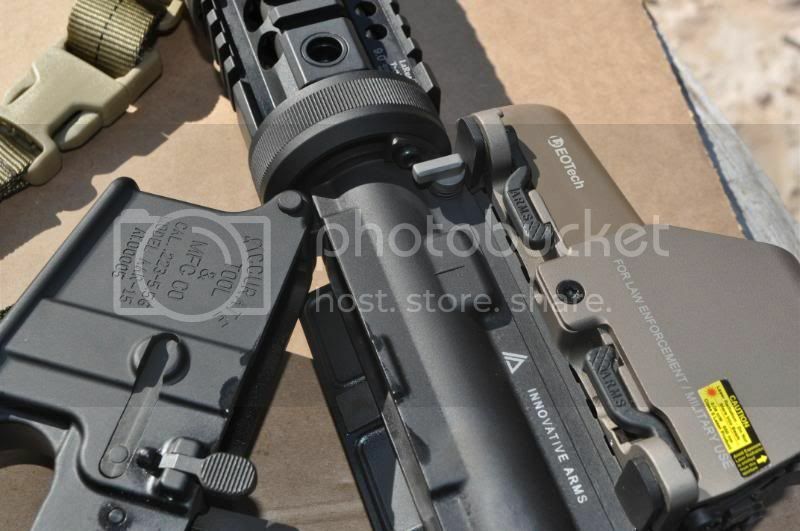 Innovative Arms has revolutionized the suppressor game with a new product named W.A.R. 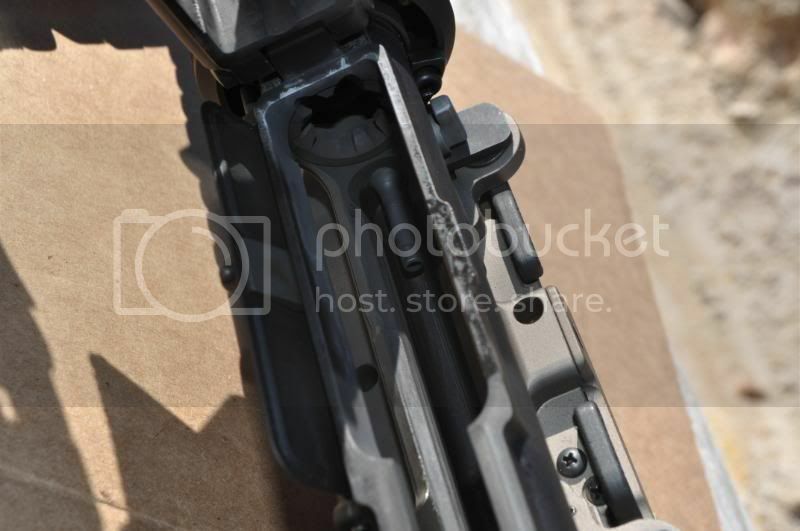 "Warfighter Adjustable Receiver patented, patent pending technology". The W.A.R. is in a class all by itself being the only upper reciever on the market with the ability to regulate gas flow at the upper reciever. There are big advantages in being able to make adjustments at this location over making the adjustment at the gas block. 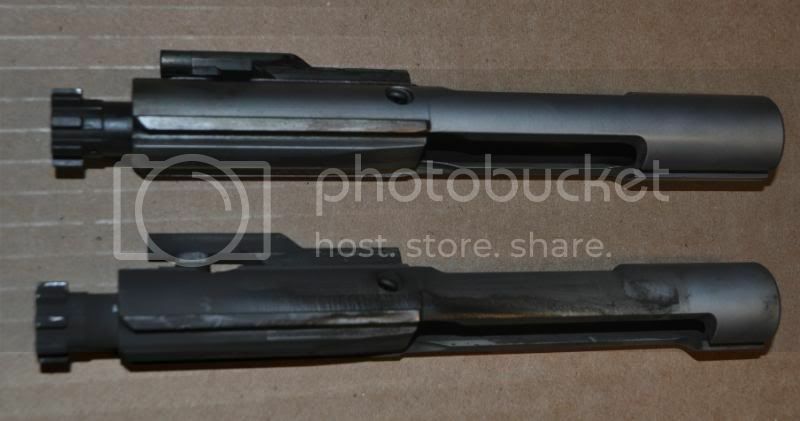 Some may ask "why do I need to regulate gas flow when running a suppressor ?" Some of the benefits of regulating gas flow is that it reduces fouling, and blowback. By reducing blowback you reduce the action noise which makes the rifle quieter at the shooters ear. 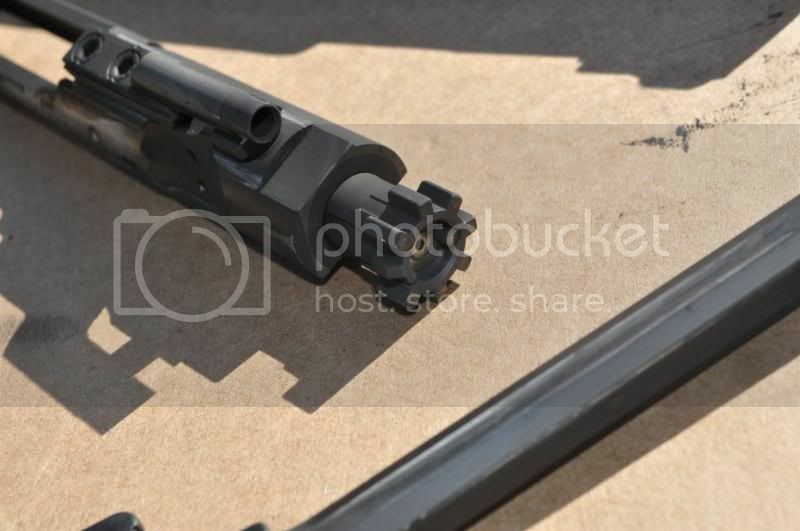 It also reduces the wear and tear from suppressor use. The W.A.R. does all this and more. The set up being used for this test is as follows, Innovative Arms W.A.R. upper, Innovative Arms GRUNT suppressor, LMT 10.5 Barrel, LaRue 9" Rail YHM low pro gas block, Rainer Arms and LaRue BCG, lower is a Accurate Tool with a DD LPK, H Buffer and LMT SOPMOD stock, optic is a EoTech 553 using PMAGS and Federal XM193 ammo. First I shot 100 rounds of XM193 suppressed with the adjustment set to the unsuppressed setting, This adjustment allows a normal flow of gas through the gas tube into the receiver. As you know this can get flithy very quickly. I brought 2 BCG's with me for this test because I was in a time crunch. 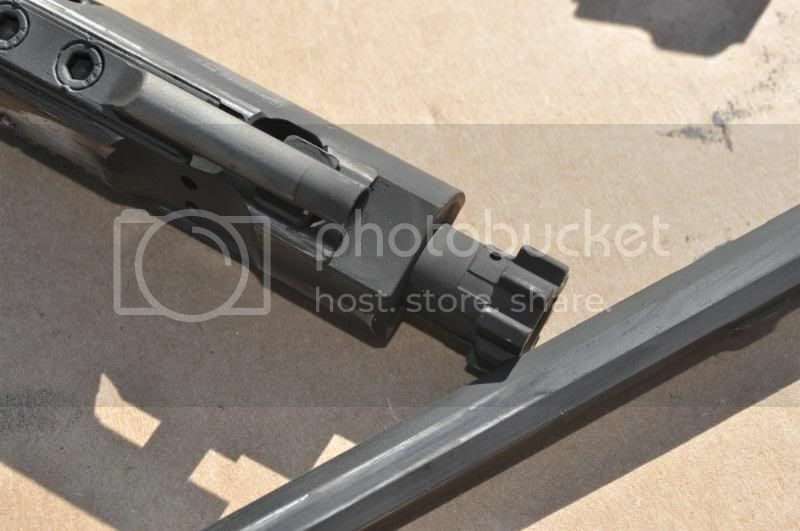 First a Rainer Arms chrome which was used with the receiver set to unsuppressed. Heres what it looked like when I pulled it out right after testing. Next I changed the setting on the W.A.R. to Suppressed. I ran another 100 rounds of XM193 this time using a LaRue BCG chrome also except for the bolt itself. I wasnt able to break it down at the range but here is the comparison once I got home. The thing that I couldnt capture on video is how the W.A.R. makes it seem that you are firing a different weapon. The sound of the rifle is different, the recoil changes in a way I cant really put in words, and of course you get way less gas in your face as you can tell by the videos and photos. As I was going through the testing I wasnt paying alot of attention to the changes other than gas until I made the switch from unsuppressed to suppressed in mid magazine. The weapons sound and feel changed so much I thought I had a malfunction at first. Then I realized that the W.A.R. doing its job. The purpose of this video is to show that the adjustment switch has a audible click to let you know it is in place, or can be done quietly by holding in on the tension spring while making the adjustment. 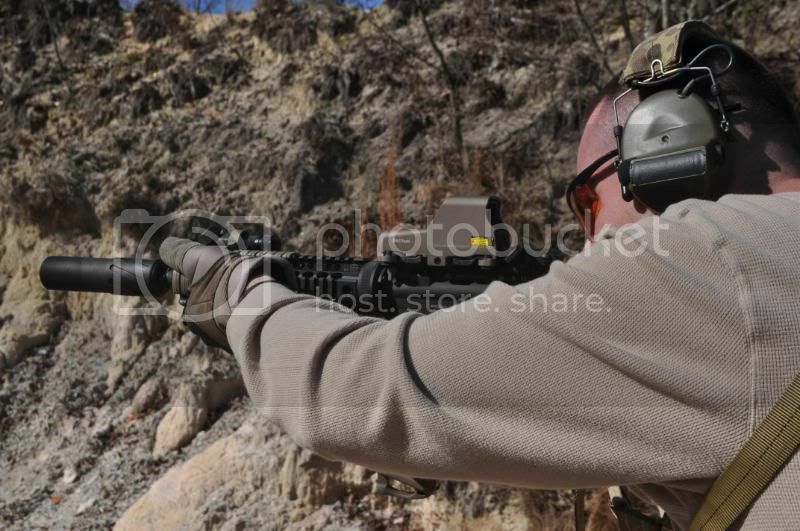 No matter how hot I ran the rifle, I was able to make the adjustment. That is something that you have to be careful doing when making the adjustment with gas block systems or you will burn yourself. The advantages that the W.A.R. has over other gas block mounted systems are as follows. 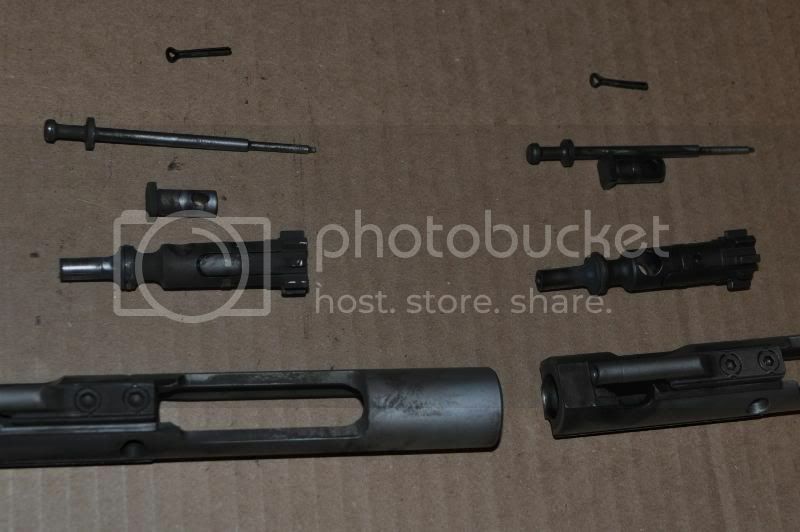 It works for any length Direct Impingment AR. You specify the length whether it be carbine, mid-length, or rifle and the W.A.R. will work. It works with any rail system, handguard, or sight system. You can use which ever gas block you want. It doesn't interfere with most optics or mounts. 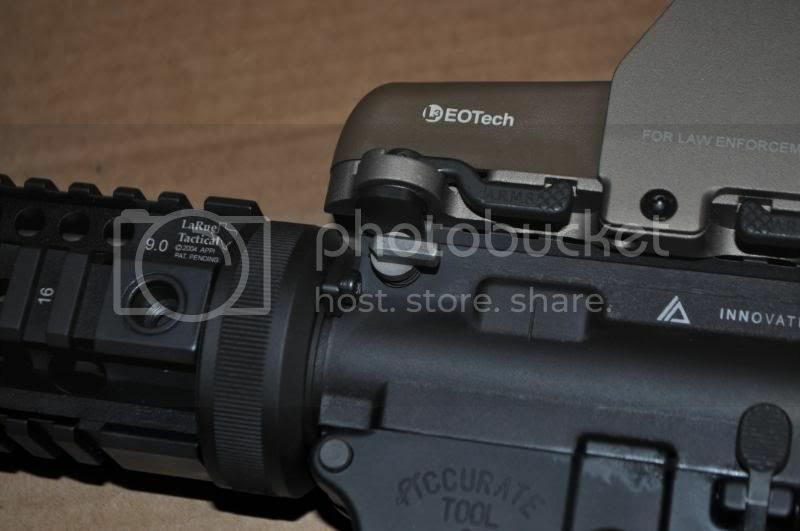 I have tried it with Eotechs, Aimpoints with LaRue mounts, Nightforce mounts, and Trijicon optics. They all work. No more need for the PRI gasbuster charging handle because this reduces gas in your face also caused by suppressors. The W.A.R. 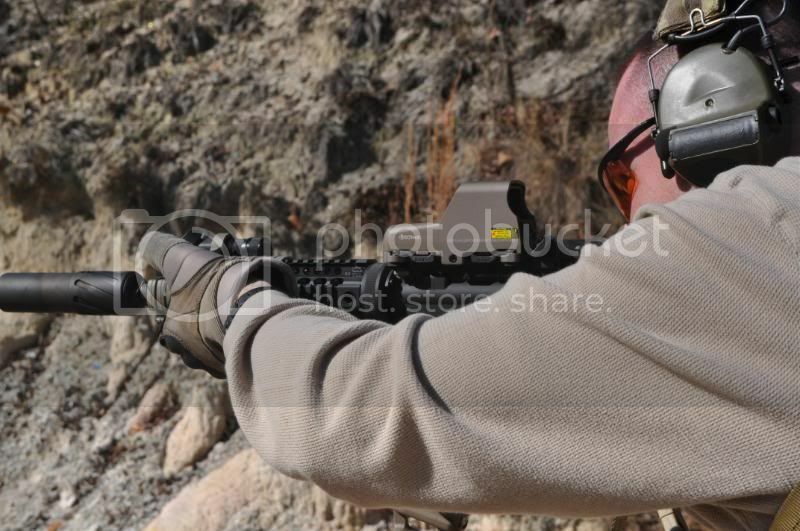 reduces decibels at the shooters ear by 1.5 to 2.5 dB. One of the biggest benefits "if your not sold by now" is that the operator instantly knows the condition of his or her weapon. You can instantly make the switch from Suppressed to Unsuppressed without losing your cheekweld. In night time applications you dont have to remember which position left or right is suppressed mode like gasblock systems. Just a quick feel and you know the condition of your rifle. 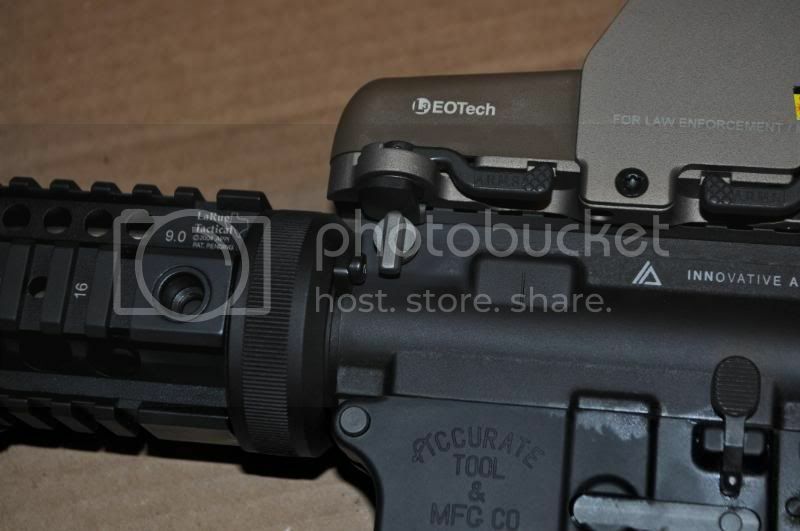 No more sticking your head down around the business end of your rifle to check settings or make adjustments. With a quick touch and you know your ready and your eyes never leave the battlefield. The Innovative Arms W.A.R. 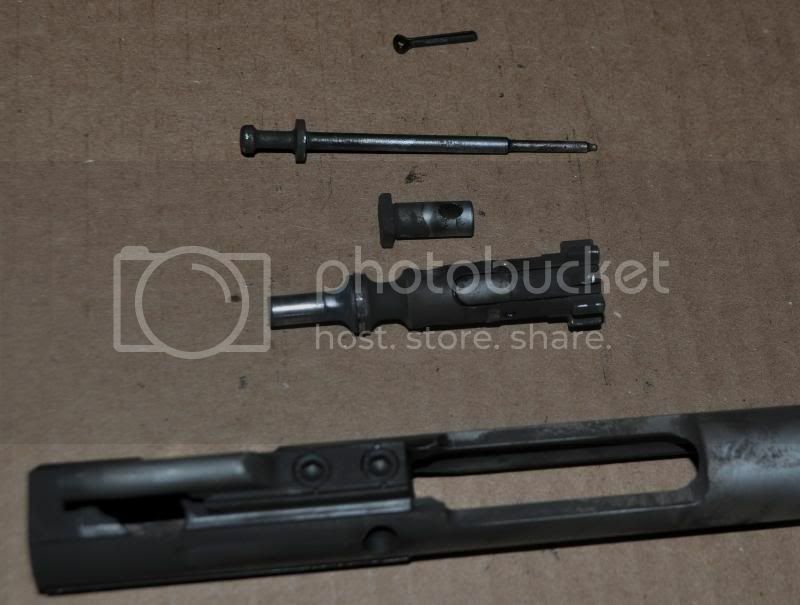 "Warfighter Adjustable Receiver" is the ONLY receiver in the World, no matter DI or gas piston, that will allow this.